on-screen, zoomed-in on, panned, printed, and projected. 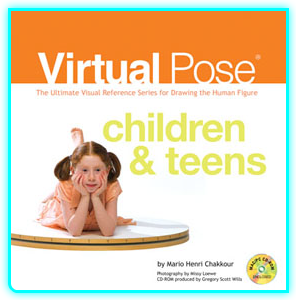 All is needed is a free QuickTime VR (QTVR) viewer: a couple of MAC/PC compatible options are available to the artist. 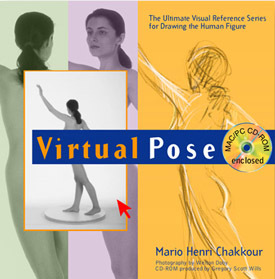 Virtual Pose ® is MAC/ PC/ iPhone/ iPad compatible! 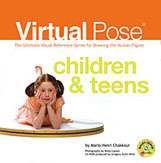 including "Virtual Pose ® Children & Teens," which featured clothed children and teen models. as well as remastered content, via online download only. 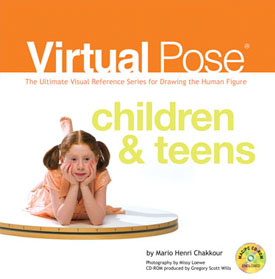 Our clothed collection of poses is great for artists of any age! In order to operate the QTVR movies on your device, you can purchase an application called QuickPano (around 6 dollars), and install a free version of iZip (both available through the Apple® store). 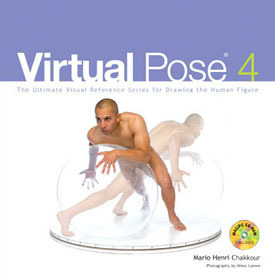 Then, download any ZIPPED poses from our online store, extract it in iZip, then from within iZip choose "Open In," which prompts the "Open in QuickPano" window, and that's it. Or upload QTVR movie files to your Dropbox, then download them to QuickPano. For both the Macintosh and PC-Compatible desktop or laptop computer, you can download the QuickTime movie player version 7, available on Apple's website. YES, you may have more than one version of QuickTime versions; for example, if you have QT player version 10, you may download and operate an older version. BEWARE: NOT ALL WINDOWS® versions are compatible with QTVR. That is why we HIGHLY recommend the DEVAL PLAYER for PC's. To download the DEVAL PLAYER for PC's, visit this page: http://www.devalvr.com/index.php/en/discontinued and click on the link provided at the very bottom.